Shannon is a highly effective, communicative, and well-rated Account Manager here at IMEX Sourcing Services. She is a very careful planner who thinks several steps ahead and always ensures her clients fully comprehend the state of their projects. 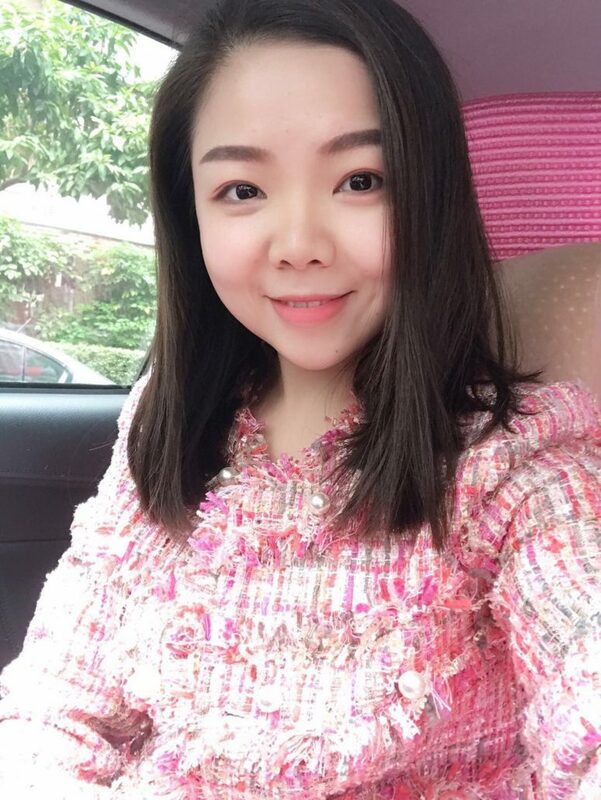 She is currently earning her MBA at the Open University of Hong Kong, learning advanced business competencies so as to better address the needs of IMEX clients. I love seafood, spicy food and western food. At IMEX, I sourcing different kinds of products for our overseas clients, and continuously communicate with them through email, Skype and phone calls to expedite the projects. Additionally, I am in continuous contact with suppliers for the price negotiations, samples, checking the production lead time, quality control management, and arranging the logistics. Lastly, I’m responsible for solving any problems throughout, protecting our client’s interest and ensuring the products are delivered on time. I like talking with my clients to understand their thoughts and needs on the products. I like dealing with different vendors and learning more about the products materials/functions/cost. Solving problems proves my value. I’m always improving my negotiation, communication, as well as managing abilities. At IMEX, we’re encouraged to learn with practicing and finding the answers ourselves. This is such an important value, as too often people ask questions without it through on their own with their own critical thinking. Not only does this help us at work but also significantly benefits our personal lives. Also, Ash is an easy going leader. We can always bring out our ideas on improving our company and discuss with him. He also shared wisdom from his great experience in the industry and running the company. I take lessons for my MBA on weekends. During my spare spare time I enjoy playing guitar, reading books, running, swimming, listening to music and shopping. Timely communication with client and vendor to ensure no misunderstandings on the product specifications. Update my clients in a timely manner on project statuses. Think carefully before replying to clients – work out the best plan for them based on the actual situation. Make it clear to vendors on the product cost, spec and quality requests ahead of arranging the contracts and payments. Scheduling everything ahead of the deadline to prevent any urgent scenarios. Ensure to provide the correct information on time we need, including the product quantity, cost approval, artwork and so on.